One of the primary decisions to make when you’re ready to get tenants into your rental property is whether or not to use a real estate agent (or property manager). A property manager can cost approximately 7-10% of your total rental income each week, which is a factor that causes some people to question this option. However, the services that a good property manager provides can be worth far more than this fee. Renting a property requires a lot of work and a high level of commitment, which many property owners don’t have the time or the inclination to put in. A good property manager will handle all the headaches and downsides of renting for you, making life potentially much easier. You’ll want to make sure that you find someone who will work hard to protect your investment. Compare agent qualifications, and make sure you find someone who specialises in property management. One of the first reasons to consider hiring a real estate agent that specialises in property management is that they help provide a buffer between you and your tenant. If there are any problems with late payments or damaged property, the agent deals with these issues so that you can avoid any unpleasant confrontations. Today’s top property managers are fully licensed real estate agents. They know all the ins and outs of your state’s laws that relate to rental properties, and can advise you about your landlord rights. A good real estate agent does far more than just rent your home and collect your money for you. They also facilitate mediation in the event of late payments (providing a debt-collection service if necessary), organise emergency repairs, organise maintenance and even handle the payment of various bills. 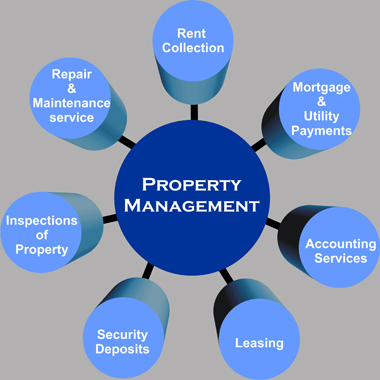 The property manager helps provide a complete management service, to help you avoid wasting your own time and money. When you are first thinking about renting out your property, you may not have a full picture of the amount of work that can go into this. A real estate agent can help you find suitable renters to help you avoid periods of vacancy and income loss. They will be able to employ all the necessary marketing methods to ensure that your property is highly visible to potential tenants. The agent can then show the home to prospective tenants with open inspections that showcase the property in the best possible light. Consider taking out landlord insurance to protect your investment and help shoulder unexpected costs. There’s a remarkable amount of paperwork that can be involved with managing a rental property including property rules and regulations, lease agreements and contracts for repairs and maintenance, and more. Real estate agents are able to keep these files well organised, ensuring that nothing slips through the cracks. Experienced property managers will also keep tabs on the latest zoning regulations, federal and state laws, property values, and landlord rights. They will watch rental prices for your region closely, staying up-to-date on the current market conditions in order to best advise you when it comes to your investment. With this attention to detail, they will help you decide if it’s time to raise the rent or make key repairs. To excel at all of these tasks, a good property manager will be proactive and trustworthy. They will be willing to go the extra mile to ensure that both the tenant and the landlord are satisfied with their rental situation. Property managers will check in using various means, including phone interviews, regular inspections, and surveys. They are usually sociable, friendly, and cooperative people. This helps them diffuse tense situations and handle uncomfortable situations with ease. They will be the go-to person for both parties, resolving conflict positively. There is a great deal of work that goes into managing a rental property. If you don’t have the time or the inclination to deal with repairs, problem tenants and marketing a vacant property, you’ll probably want to hire a property manager. The percentage of your rental income that pays for a property manager will pay off because you can sit back and relax. The alternative is to risk lost income if your property sits vacant or if you have trouble with your tenants.